This module allows you to receive incoming WhatsApp messages from multiple waboxapp accounts on your Sendroid Ultimate inbox. 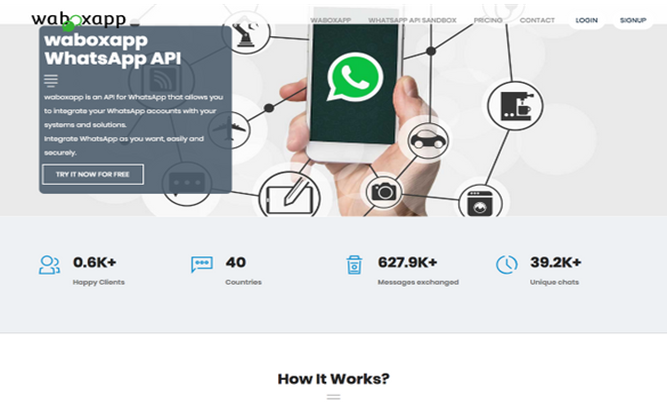 You will be able to setup many waboxapp accounts and this module will fetch incoming messages on each every hour. You will be able to assign each instance to any of your customers so that messages received through it will be automatically assigned to the customer's inbox. Once enabled, this add-on will be accessible from Extras -> Waboxapp Inbound. Please read the notice on the add-on interface for other usage information.